The production, titled “Capturing Everest,” will debut in early 2017, on Time Inc.’s new LIFE VR platform, and will also be released on SI.com in 360-degree video. Sports Illustrated will partner with Endemol Shine Beyond USA to produce the first documentary series of a complete climb of Mt. Everest to be presented in virtual reality. The production, titled “Capturing Everest,” will debut in early 2017, on Time Inc.’s new LIFE VR platform, and will also be released on SI.com in 360-degree video. The production is presented by Sports Illustrated. The video was shot over the span of two months, using cameras on zip lines and on the body harnesses of climbers, who include six-time Everest summiteer Garret Madison and three-time Everest summiteer Brent Bishop. For the first time, viewers will be able to experience the climb in first-person using virtual reality. "Attacking the world’s highest summit seemed like the perfect place to go with our new VR initiative, and by partnering with Endemol Shine and adding in the world-class storytellers from Sports Illustrated, I think we have something truly special and unique to offer our audience," said Mia Tramz, managing editor of LIFE VR. "We can’t wait to bring viewers along for this once-in-a-lifetime journey. This is exactly the type of experience LIFE VR was created for." 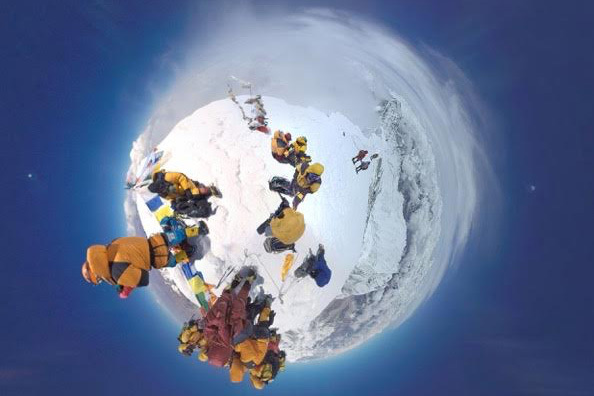 Adds Time Inc. Sports Illustrated Group editorial director Chris Stone: "Capturing an ascent in VR makes the unattainable seem attainable while at the same time reinforcing the mythology of Everest. This production is both extraordinarily real and unreal all at once. We are thrilled to bring the viewer along for the odyssey." "Capturing Everest" comes on the heels of SI’s introduction of virtual reality to last year’s Swimsuit issue.